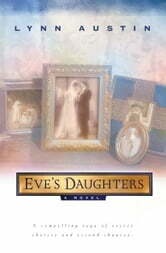 Eve's Daughters | Rakuten Kobo. Voeg nog $5.01 aan artikelen toe aan je winkelwagentje om je korting te ontvangen. Niet in Australië? Kies de winkel van het land waar je je in bevindt om verkrijgbare boeken te zien. Of krijg het voor 6800 Kobo Super Points! What Would You Do If a Secret Was Causing Your Family to Crumble? Is there a secret terrible enough that it should never be revealed, not even if it was tearing a family apart? For more than five decades Emma Bauer has kept one--carefully guarding it with all her strength, and for more than five decades that choice has haunted her life and also the lives of her daughters and granddaughter. Is it too late for wrongs to be righted? Does Emma even have the strength to let the healing power of truth work in her family? The story of four generations of women and the powerful effects that their choices have had on their lives is at the heart of Eve's Daughters, an epic novel from author Lynn Austin. Grand in scope but tender and personal at the same time, it will please you as a fan of contemporary or historical fiction. Exploring times from World War I to the 980s, Eve's Daughters is an insightful look at mothers, daughters, sisters, and families that allows you to see a little bit of yourself through the characters' triumphs, struggles, and hard-tested faith. Yearning for love, dignity, and freedom, the four generations of women must come to terms with the choices they have made. Healing comes when the past is forgiven but only when they embrace God's forgiveness can they shatter the cycle that has ruled their lives over the decades. Very inspirational and very well written. I enjoyed it very much. I would like to read more of her books. This was a most intriguing story, with the characters so intertwined and the plot so mysterious, that it was difficult to put it down. It compelled me to do some soul searching about the women who influenced my life. An excellent read.